This tour will include a visit to Niagara on the Lake with a stop at a local winery for sampling. Then head into Niagara Falls where you will have ample time to explore on your own. You will meet up with our driver late afternoon for your return transportation. Discover Niagara's top attractions on this 9.5 hour, semi-escorted day tour from Toronto. Following pickup from your downtown Toronto Hotel, you will travel with a Niagara Parks-licensed Guide, on a luxurious air conditioned motor coach into Niagara on the Lake. You will stop at a local Winery where you will enjoy wine sampling. You will then make your way to Niagara Falls as your guide details the region's history and heritage. Once in Niagara, you will have approximately 3 hours to explore on your own. 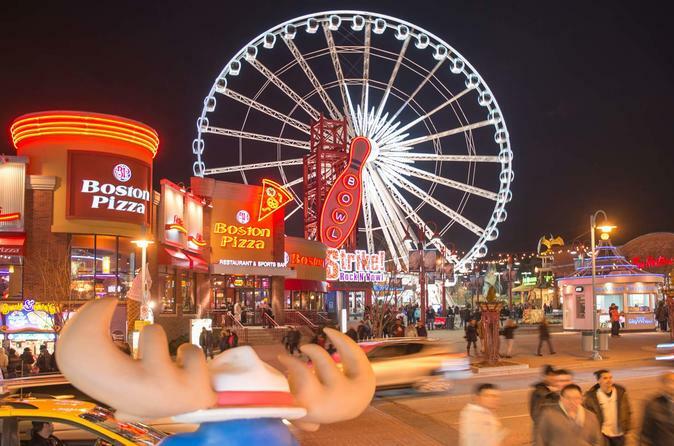 You can visit Clifton Hill where you will find attractions such as a haunted hours, wax museum and the SkyWheel, or perhaps test your luck at the Niagara Casino!